This is a preview section for upcoming levels. If you wish to have your level announced here it has to meet these three requirements: 1) It must be single-player 2) You have to have a screenshot 3) You must take your project seriously enough so that you won't abandon the project the day after a preview has been posted. Previews are removed as projects get released but abandoned projects and projects whose status is unknown are just moved to the bottom of the list. Screenshots shown here might or might not be from the final products. 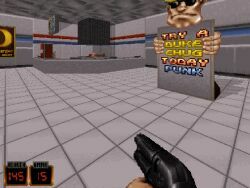 HellDuke TC is basically a Doom TC but instead of remaking Doom it instead merely borrows the Doom environment. 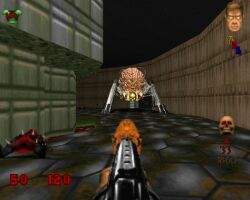 The full version will have six episodes, tons of new stuff including weapons and enemies, new gameplay enhancements (including a score system) and a storyline that connects HellDuke to the world of Doom games. First few levels of the TC are out as we speak. Topics with download links and info available here and here. Gameplay video available here. 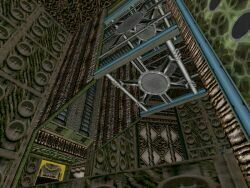 An upcoming level from a Finnish mapper, Hidden Labs will include new art and maybe a new mp3 track. I took a look at a very early version of the level and it seemed to be an Earth-based level with caves and some neat looking hallways inside what appears to be an apartment building. A seven-map episode by some of the finest mappers in the community. Each of the mappers is working on his own map and, in addition, on a CBP-style map for the project. "Imperium" takes advantage of hires graphics and Duke's expanded limits. DeeperThought works on the mod's code. Topic at AMC. 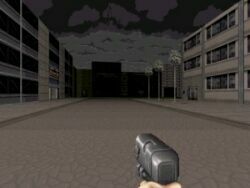 Nintendo 64 got its own version of Duke3D. 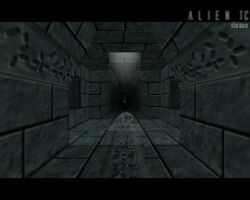 The levels were pretty much the same but the weapons were new and the monsters went through some small changes. "Duke 64" mod intends to bring this Nintendo experience from 1997 to yer PC. Website. John plans to make this the "absolute longest map for duke you will 'ever' play." Well, I for one can't wait. 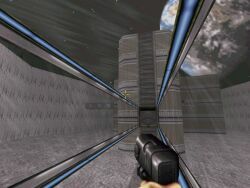 The level draws inspiration from an Oblivion TC map where Duke-fossa travelled on a minimap from one location to another. 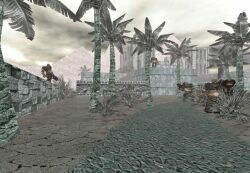 The level will feature a variety of gameplay and design themes. 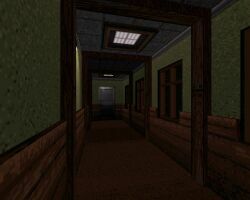 A mansion map from the guy who often starts but rarely finishes: "Set in a mansion with some outside areas that will contain some RE-ish gameplay and gags but isn't any sort of remake. New art, codes and sound." "Hellshock" has been under development for seven years. The Community only recently received a note that it's still in development. 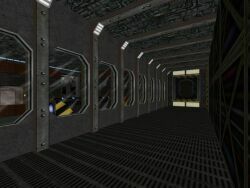 "Ultra 3D" will include a bunch of new features but is not going to require any recent ports such as Jonof or EDuke. 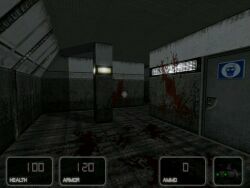 So far, things are looking good and "bullis1" (I hate aliases) recently released a bunch of new screenshots. Check progress at AMC forums. "You are air-dropped to an island several miles off the coast of Denmark, with orders to investigate a strange energy surge in the area. Upon landing you notice that the island is incredibly small and start rummaging through your drop crate for the radio when you notice trace gasses coming from a mound of rock on one end of the island. Further investigation reveals a small cave, with a hastily constructed and weak wall in the back. Taking out some explosives you prepare to blow the wall and get to the bottom of the energy surge." 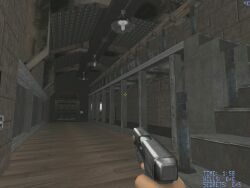 The level, an underwater lab, draws some of its inspiration from Return to Castle Wolfenstein. AMC topic. "Many years in the future mankind has established a foothold in space. However, we seem to be one of many out there. Some are not peaceful and considering how valuable our planet is we establish a new branch of military known as "Earth Defense Forces". E.D.F. uses Earth's Moon as a platform to develop military bases and launching platforms in an attempt to protect Earth from unwelcome visitors. "Survival is a more adventurous game inspired by the likes of Unreal - you must explore the planet and find out what happened to Earth, and a way off of this rock if it's possible. Survival will be a full game with around 20 - 30 'levels' (Although transition between each will be rather seamless) using Eduke32 and using hitile only." Forum at AMC, Survival Gameplay Video here. 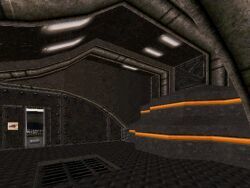 "This will be Bofu's first publicly released map, though he has been playing user maps for many years. It takes place in a spaceport where the EDF has been sent to eliminate the alien invaders, who have taken the place over and set up a perimeter. Obviously, the EDF task force has failed, and it's now Duke's turn. Features include new CON and ART, including rocket-launching turrets, gibbable EDF corpses, and more." 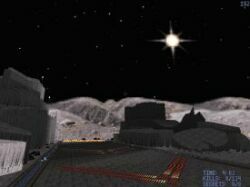 "The theme of the map will be a giant surface on the moon, where there's a war going on between the EDF and the alien empire. Duke has been hired as a sort of commando, and you will have to complete several objectives to complete the map, like destroying a harvester and some buildings."